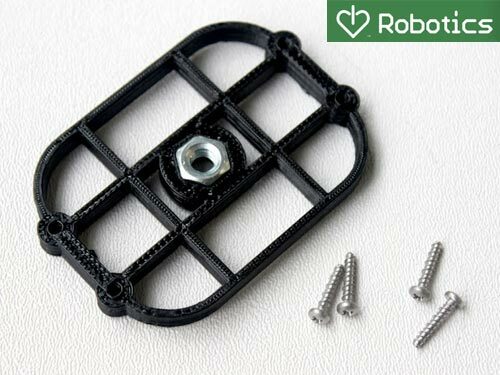 In the spirit of my “Maker Business” posts (like The Real Costs and Lessons Learned) I’d like to point you at this post from I Heart Robotics titled Business Plan: 3D manufacturing. If you haven’t read it, go read it. Then come back here. I’ll wait. This is my favorite post of the week… and it’s only Thursday! For anyone wanting to get into a maker-related business, it’s a must-read. This is an area I see open source hardware similar to open source software. Once a problem is solved, why not share the solution with everyone else, for free? You’re welcome to sell the software (or hardware) all you like, and letting other use it for their own use is a great side effect that costs you nothing. (Some could argue it costs you in potential revenue, but I won’t argue that right now.) It’s also worth noting that I Heart Robotics licenses the item with an Attribution – Non-Commercial – Share Alike license. For those unfamiliar with Creative Commons, a simple explanation would be that as long as you don’t make money by selling it, you can go nuts and make (and give away) as many of them as your 3D Printer can make. This breakdown of costs is also worth studying. Since I’ve been dealing with numbers like these in the past few months I’ve become a little more aware of people who complain about such things. I can see someone who owns their own 3D Printer saying “They want $20 for that!? It’s like 5 cents worth of plastic!” and while it may be just 5 cents worth of plastic (or less) there’s a lot of other costs involved. If you have the power to make one on your own, go for it! Either design one and make it, or in this case, download it and print it. I’ve learned that even if you carefully outline exactly how to do something and publish it on the Internet, there are still people who will (gladly) just pay you to do it all for them and then ship it to them, and for that I am grateful. Posted on Thursday, June 14th, 2012 at 1:08 pm. Subscribe to the comments feed. Both comments and pings are currently closed. Post on your own blog.